The EU delegation of Germany's controversial eurosceptic party, Alternative fuer Deutschland (AfD), is splitting up once again. Days ahead of a vote to expel the AfD from the third-largest group in the European Parliament, one of the two AfD members announced that she would leave and join a rival group. 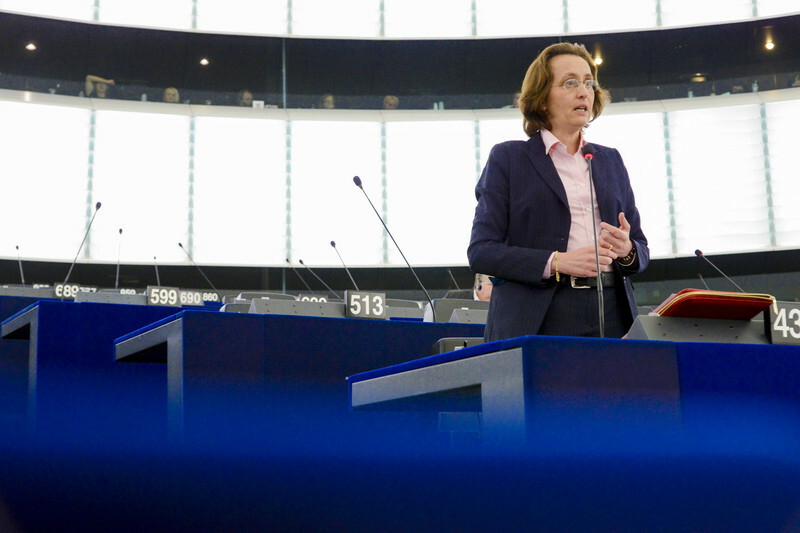 MEP Beatrix von Storch is to leave the European Conservatives and Reformists (ECR) group and to join the Europe of Freedom and Direct Democracy (EFDD) group she said in a statement on Friday (8 April). 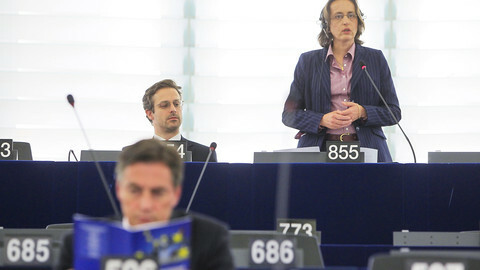 “In the EFDD I have found a political environment best suited for my political work,” said Von Storch. 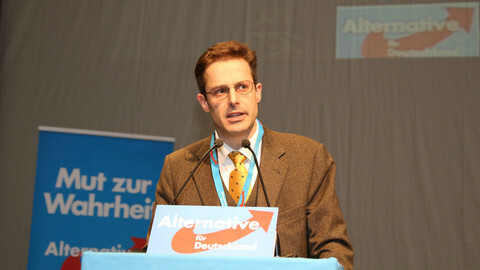 It is unclear what the second AfD representative, Marcus Pretzell will do. But he is not following Von Storch's example. 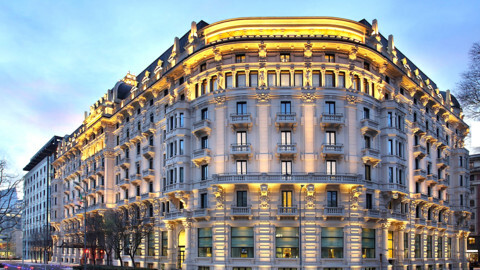 An EFDD spokesman told this website that only Von Storch is to join the group, which already contains the anti-EU Ukip party of Nigel Farage and the Italian Five Star Movement. 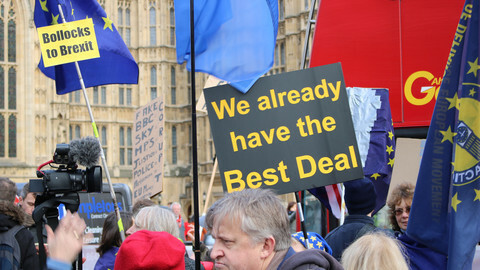 The less eurosceptic ECR group, which contains the Conservative Party of British PM David Cameron, was due to vote on the future of AfD next Tuesday. AfD, which means Alternative for Germany, got into hot water by seeking closer cooperation with the far-right Freedom Party of Austria. Its members, including Von Storch, also made controversial comments on the right of German border guards touse firearms against migrants. In early March, ECR leaders asked Von Storch and Pretzell to leave the group by the end of the month. They said they’d vote to expel them if they didn’t go. Von Storch said German chancellor Angela Merkel asked Cameron to expel AfD to harm its image in German local elections. “These events have irrevocably damaged what used to be a trustful cooperation with the group’s leadership,” Von Storch said at the time. Shortly before her move was made public on Friday, an ECR group source told EUobserver that a majority of ECR MEPs would back the motion to expel AfD. The future for the other AfD member in the group, Pretzell, is unclear. Some EU parliament sources said he might join the far-right Europe of Nations and Freedom group. But this website could not reach him on Friday afternoon. Peter van Dalen, a senior Dutch deputy in the ECR group, told EUobserver that if Pretzell doesn’t leave by Tuesday then the vote to expel him will go ahead as planned. Arne Gernicke, a German ECR member, said it would be “misguided” of Pretzell to try to stay. He said the vote to expel him would be “merely a formality”. 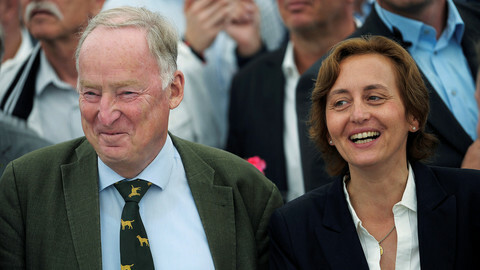 If Pretzell doesn't join Von Storch in the EFDD, it would mean the AfD’s delegation in the EU parliament would splinter for a second time. 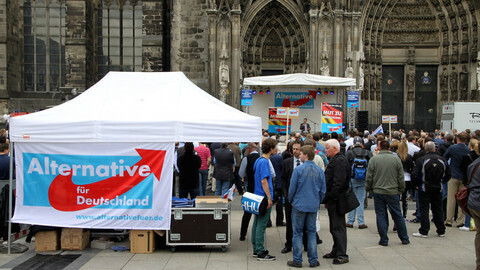 Last year, five of its seven MEPs left the AfD to form their own party. 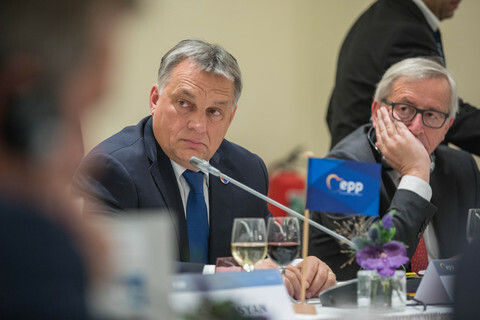 The new party remained in the ECR group. The third biggest group in the EU parliament has told German anti-EU party AfD to leave or be voted out. 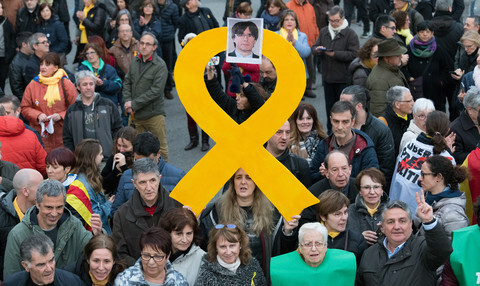 The two AfD members refuse to go, amid claims of a UK plot. Five MEPs have left Germany's anti-euro AfD party saying it's too anti-immigration. But they are struggling for attention back home. 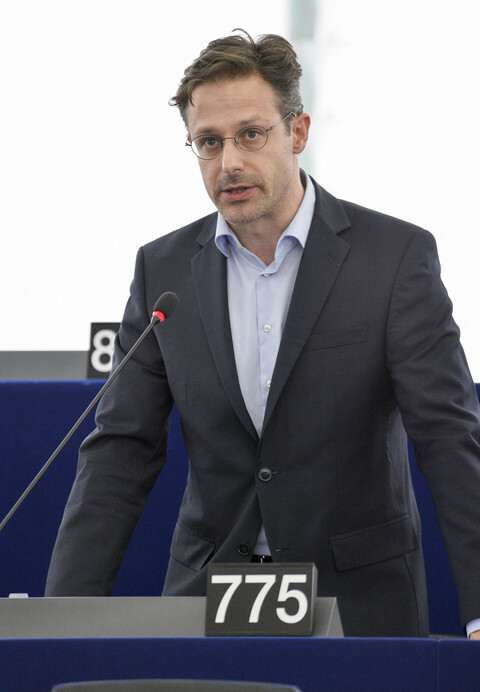 Marcus Pretzell is expelled from the European Conservatives and Reformists group over his anti-immigration party's recent "tendency to radicalise". The German anti-EU, anti-Islam party rejects discussing a motion that would declare opposition against racism and anti-Semitism.